The SaddleBrooke Strada Floor Plan is one of 8 available floor plans and offered in the Tradition Series of Homes at SaddleBrooke. This spacious home provides a great room concept with 2,043 sq. ft. of living space. For the couple seeking a spacious retirement home or winter retreat, the SaddleBrooke Strada Floor Plan may be for you. 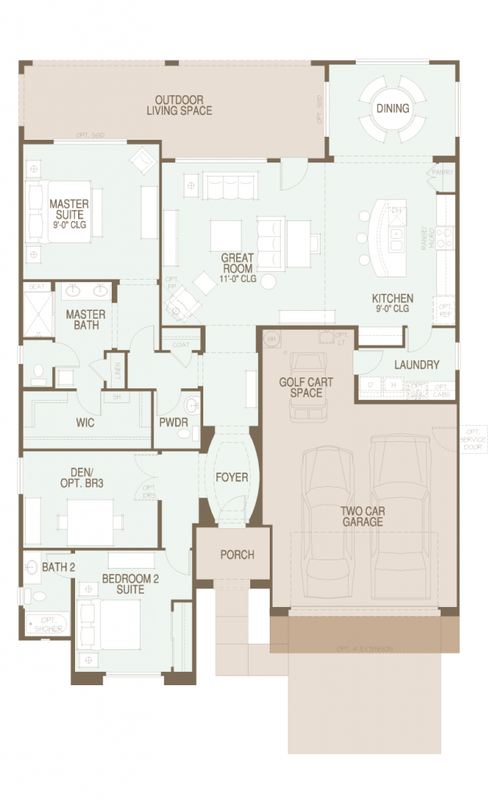 The SaddleBrooke Strada Floor Plan offers 3 elevations to meet your individual style.